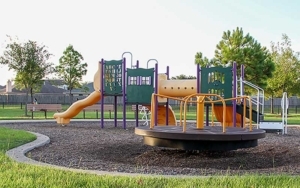 This 1½ acre park is located at the corner of Greenwood Point Drive and Stoney Haven Drive within the Amhurst subdivision. 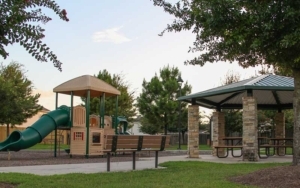 Cypress Springs Park is a 2½ acre park located at the intersection of Rustic Lake Lane and Greenwood Point Drive in the Cypress Springs subdivision. 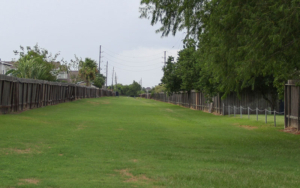 The Greenbelt park is currently a maintained corridor but will eventually contain in the near future concrete trails, trash receptacles, and shade trees. 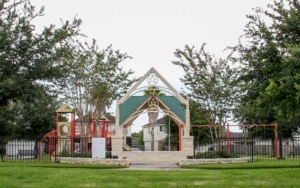 This .654 acre park area is centrally located at the intersection of Baron Brook Drive and Teal Wind Drive. 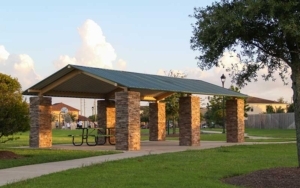 Yaupon Ranch Park is an existing park and on behalf of HCMUD 165, has added a ½ basketball court and goal, and other great amenities.